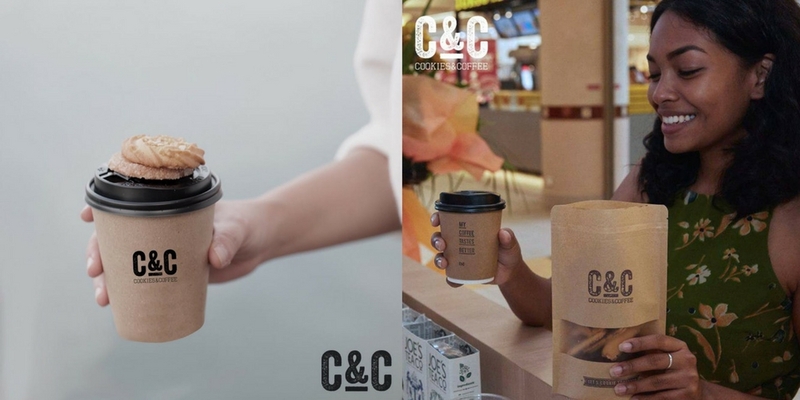 C&C is a cookie and coffee outlet that focuses on the ‘grab and go’ concept. This concept is pretty simple. You just have to pay and grab a bag of your choice (sizes range between small to large), fill it up with as much cookies as you can and once you’re done, you’re good to go. 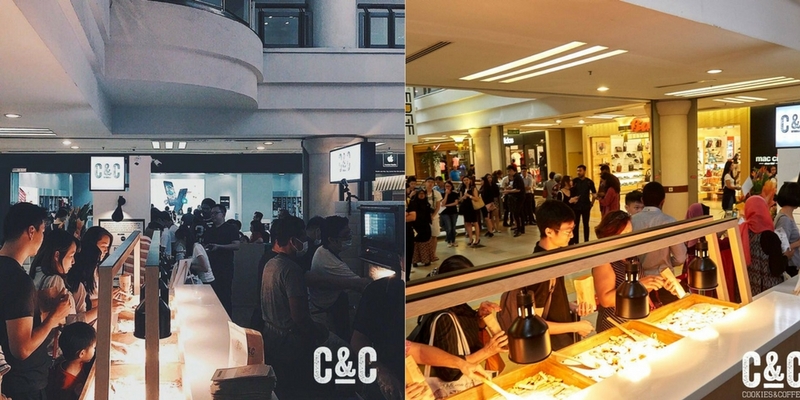 Located at One Utama, this is a good place for anyone who is in a rush and is just looking to grab their breakfast and go. It also makes for a good teatime snack. For portion control, you can opt for the medium or small-sized bags. 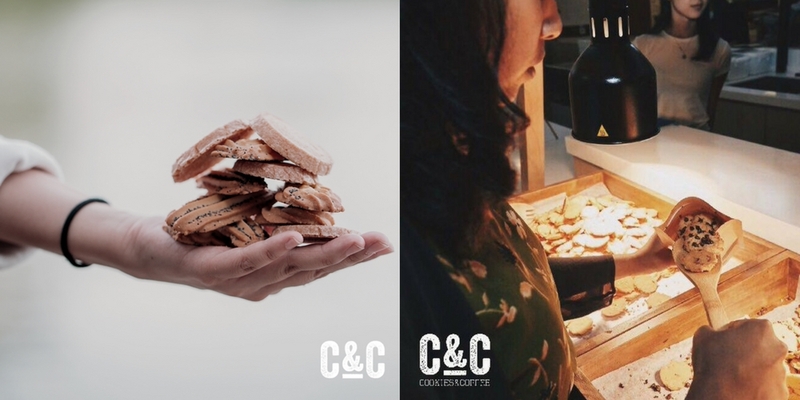 C&C bakes their cookies everyday to ensure it tastes freshly baked and has the ‘just out of the oven’ feel. 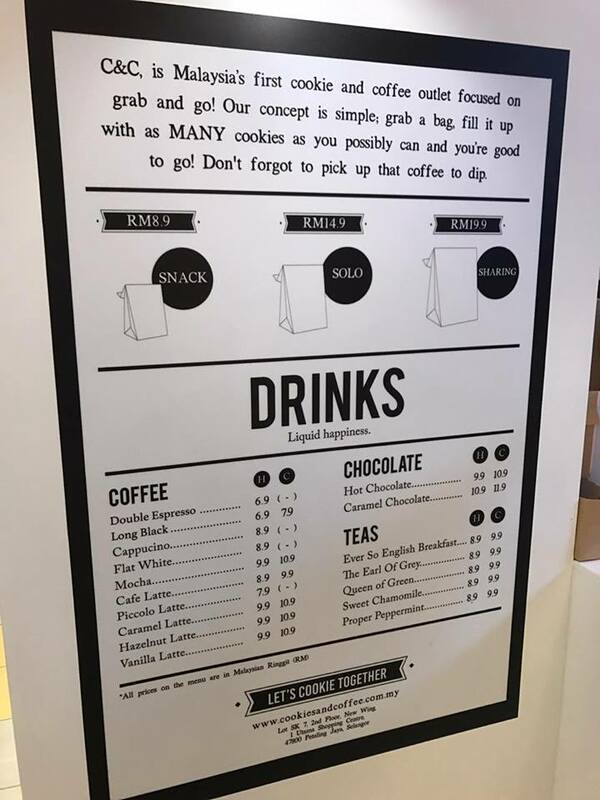 There are 3 types of bags to choose from: Snack (RM8.90), Solo (RM14.90) and Sharing (RM19.90). The higher the price, the bigger the bag! Not only that, you can mix it all! 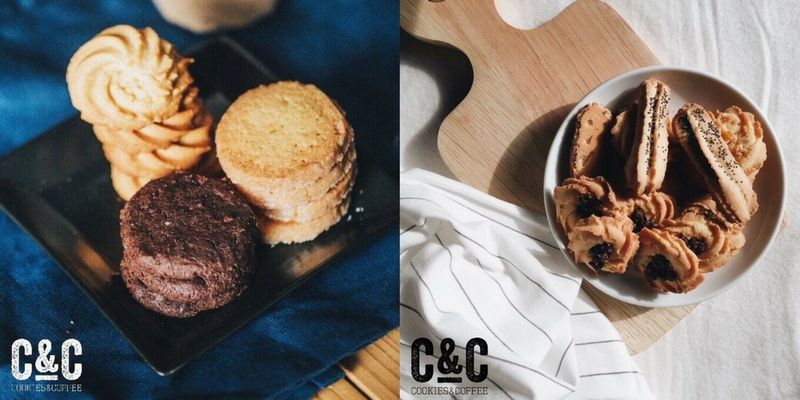 They have 4 types of cookies to choose from, with different flavours like Almond Butter Cookie, Chocolate Chip Butter Cookie, Poppy Seed Cookie and Double Chocolate Cookie. 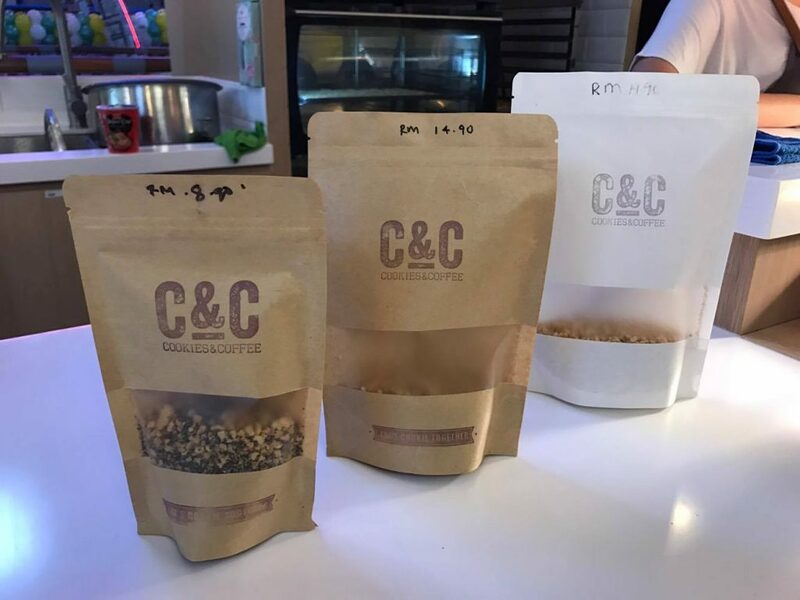 C&C offers drinks as well such as coffee, chocolatey beverages and teas. Their coffee beans are also imported from Australia. 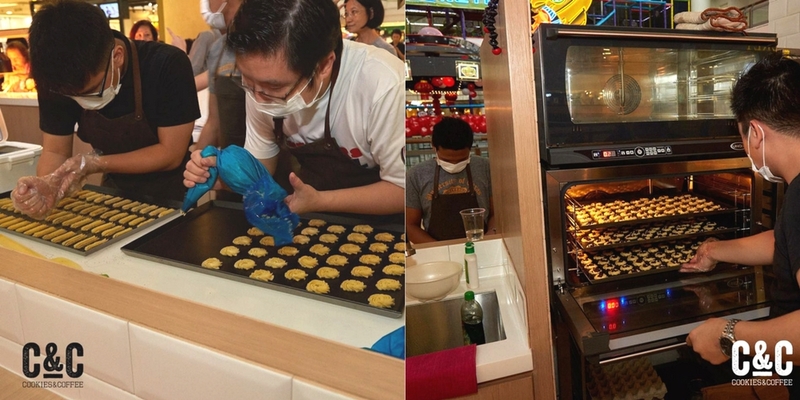 If you happen to be at One Utama, be sure to drop by and feast on some of these cookies! Address: Lot Sk 7, 2nd Floor, New Wing, 1 Utama Shopping Centre, 47800 Petaling Jaya, Selangor.